World class Kruger and Mozambique Island safari here! Fly into Sabi Sands, disembark at Londolozi airstrip and be transferred to Varty Camp in the heart of Londolozi. Varty Camp has a down-to-earth quality with the emphasis on family heritage. Children over 6years are always welcome. Your stay here is reminiscent of old-time African safaris with the add-on of modern facilities. 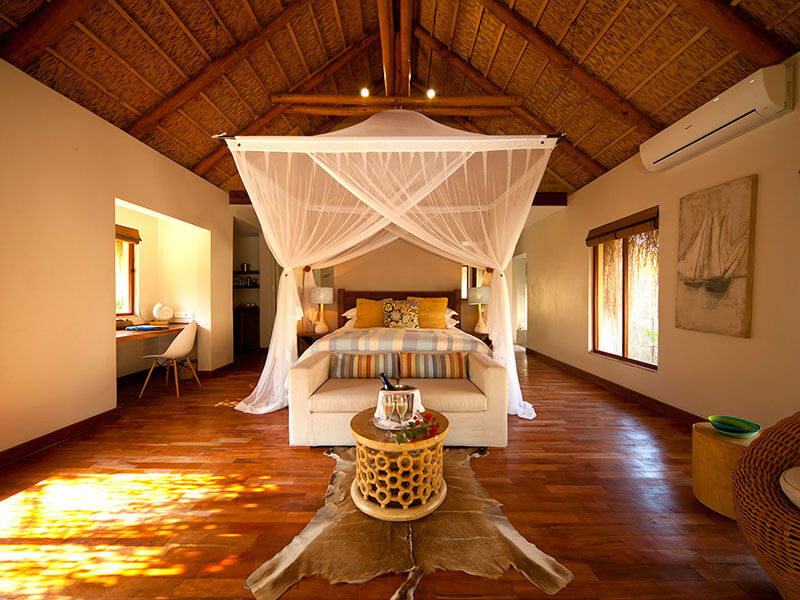 After 3 nights at Londolozi in the Sabi Sandsand adjoing the Kruger National Park, carry on with the next segment of your holiday with flights to Mozambique and Azura Benguerra Lodge in the Bazaruto Archipelago. 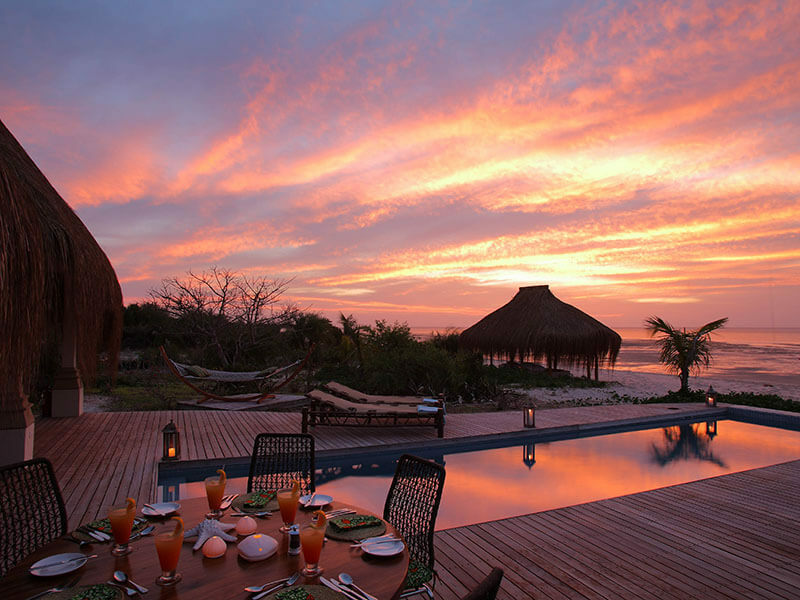 The Azura Benguerra beach villas are just footsteps from the beach amidst indigenous gardens. Experience a haven of rest and relaxation in villas with all the creature comforts to make your stay enjoyable. 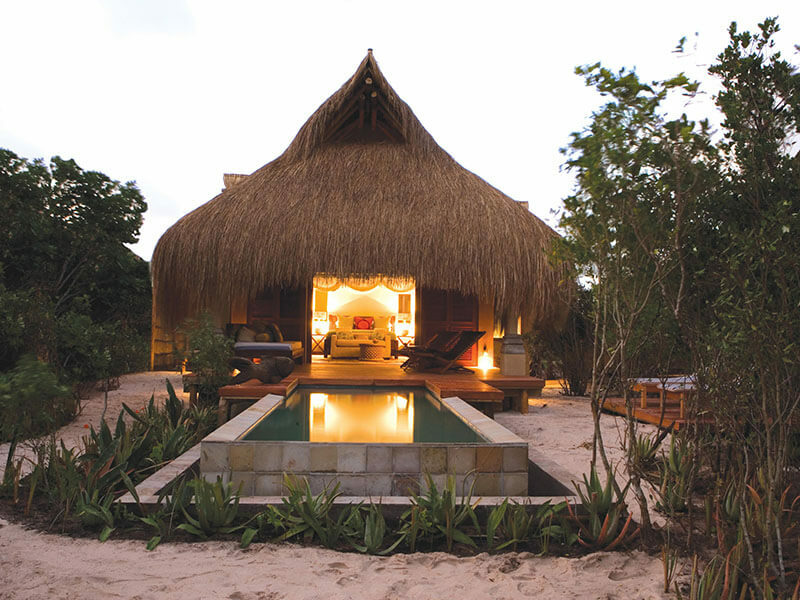 One of our best selling five star Mozambique holiday packages by far.